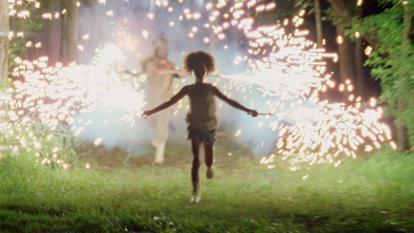 Richard Renaldi's News and Events: Dwight Henry and "Beasts of the Southern Wild"
Dwight Henry and "Beasts of the Southern Wild"
This evening I saw the film “Beasts of the Southern Wild”, which was a big hit at Sundance this year. It's quite a magical and special film: dreamlike, poetic, and a little bit sad. 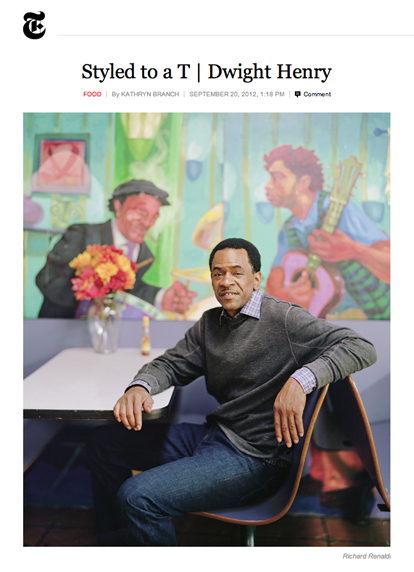 I've been wanting to see it since I was in New Orleans last month to photograph the lead actor Dwight Henry for New York Times T Magazine. I spent the day with Dwight and met his lovely family and very sweet publicist Anjulee. This was Dwight's first film, as he is actually a baker and a very good one at that (I was fortunate enough to try his famous Buttermilk drops at the Buttermilk Bakery and Café in New Orleans). Good things are happening for Dwight Henry - he is appearing in a Steve McQueen film due next year and planing to open an outpost of his bakery in Harlem. I'm glad that our paths crossed and that I got to experience meeting Dwight who has an aura of kindness and warmth around him. Speaking of auras, New Orleans has about one of the best of all the cities in the USA.